Are you looking for some teacher designed, phonemic awareness activities that your students will love? This resource contains three game sets for practicing rhyming words, that can be used in many ways. Kids will love the friendly Halloween theme. 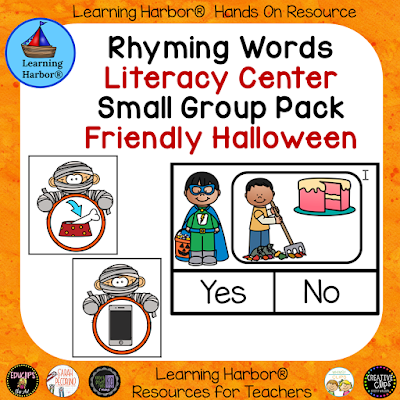 This set has enough teacher designed, high quality small group and literacy activities to keep your students rhyming for the whole month of October. For more fall and Halloween activities visit our store at Learning Harbor® Resources for Teachers.